TURKEY IS in an election season as the Republican People’s Party (CHP) has now released its 12-point manifesto in what is believed to be one of the country’s hotly contested elections. Turks will cast their votes on March 31. 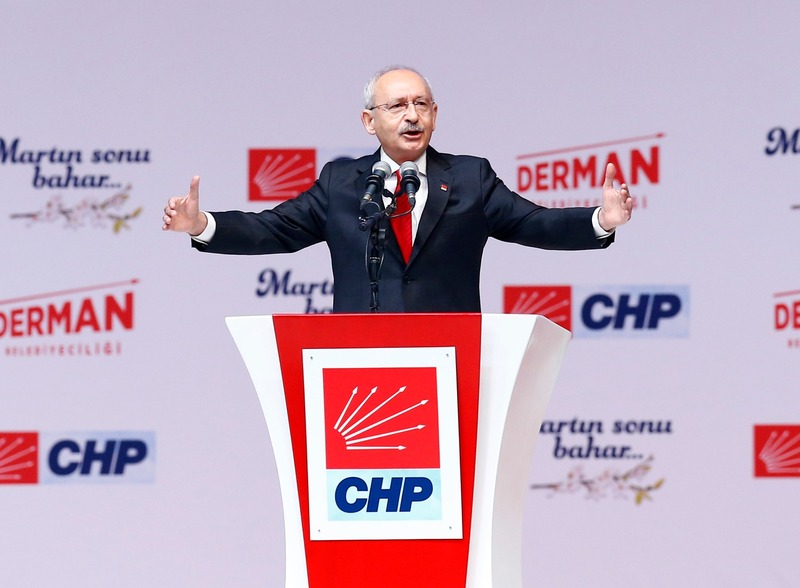 Kemal Kılıçdaroğlu, the CHP leader, the main opposition party in Turkey, made the manifesto announcement in front of the party’s grassroot supporters at Ankara Sport Hall. During the manifesto declaration, CHP’s candidates from Turkey’s three big cities were accompanying Kılıçdaroğlu. Reiterating the equal treatment to all citizenry in their manifesto, CHP’s main focus will be turning cities into friendly environments, solving unemployment, and tacking the debt burden, which municipalities have been struggling to get rid of. Culture and arts were also placed as a key element of the CHP manifesto. The other key focus will be the attainment of accountable and transparent cities, something the party believes is long gone in Turkey, will be at the centre of the 12-point CHP manifesto. During his speech, Kılıçdaroğlu reminded party faithfuls CHP’s cooperation with İyi Party (The Good Party) and close contact with Felicity Party, then, conveyed good wishes to Good Party leader, Meral Akşhener and Felicity Party leader, Temel Karamollaoğlu and their grassroots supporters. Kılıçdaroğlu also stated they would work with the understanding that all citizens are equal. Reiterating again the minimum wage rate in CHP municipalities, Kılıçdaroğlu said the minimum wage is 2200 TL ($423) in their municipalities since the January. “Whether in metropolitan municipalities or towns, if you want to get 2200 TL wage instead getting 2020 TL wage you will cast your ballot for CHP. Nor is this all they will pay gap starting from January to April,” said a confident Kılıçdaroğlu. During his speech, CHP leader also focused on the economic crisis and the high food prices, which have also been a constant headache for the Justice and Democracy Party (AKP). AKP is under fire by opposition parties since the uncontrollable food prices put millions of Turkish people under financial strain. A promising solution to increasing problems, the CHP leader criticized increasing public debt, dropping production, high-interest rates, bad economic landscape in the agriculture sector. He also criticized the government for policies leading to high-interest rates and payments, increasing public debt and decrease in production, especially in agriculture. He also blamed the AKP management for Turkey’s problems. Underlining Turkey’s high debt, Kılıçtaroğlu alleged Ankara has been captured by a number of Londoner pawnbrokers. AKP delivered Turkey by becoming indebted to pawnbrokers. Now those pawnbrokers say “we don’t give owe, we have some expectations. AKP is receiving orders. “AKP paid 163 Billion Dollar (TL 850 Billion) interest to a number of London pawnbrokers,” claimed Kılıçdaroğlu. Pointing out the AKP cannot manage to cope with Turkey’s current problems and ignoring complaints by citizens, the CHP leader said if you’re complaining, then you should leave your seat, then you will see that people can solve these problems. Those who have been in power for the last 17 years don’t have the right to complain. “At the point we are at today, we see that Turkey has political independence but it has lost its economic independence. US president Tweeting as such “Set the priest free otherwise we will destroy you,” then they (AKP grassroots) promptly held a meeting at night ordering “set the priest free,”. They delivered both of them to the presidential palace (referring to Erdoğan).